7 months? Really?! 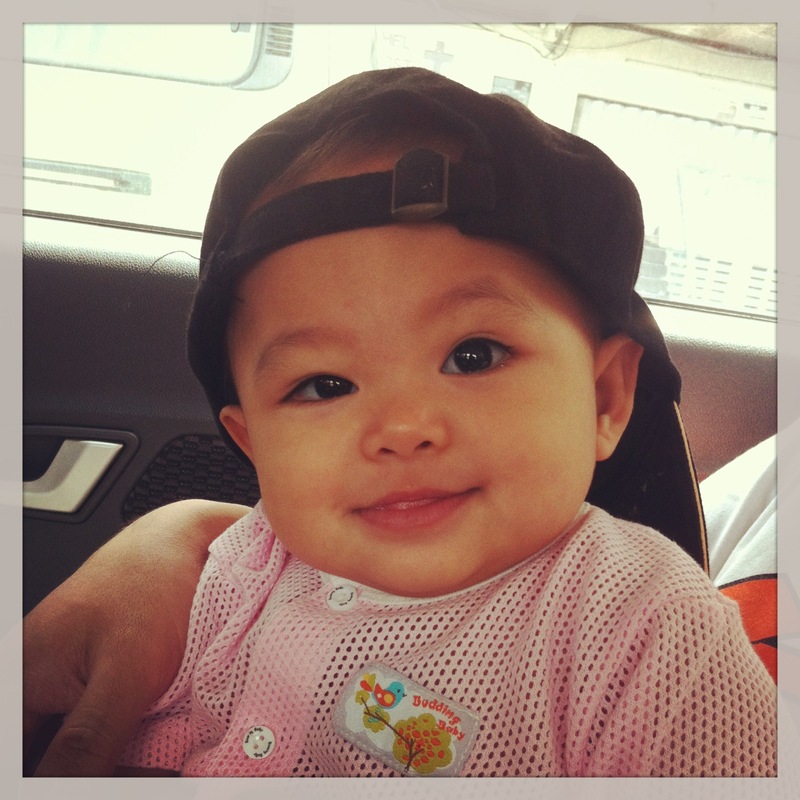 Wahh.. time really flies. Anyway, just a quick update. 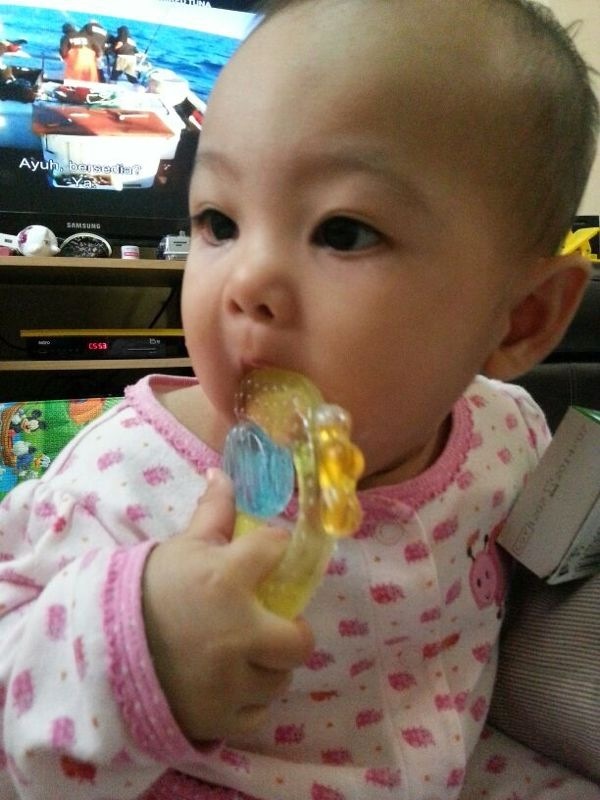 1) She finally make use of teether that I bought when she was 5 mo! That could occupy her for 5 minutes. Haha. 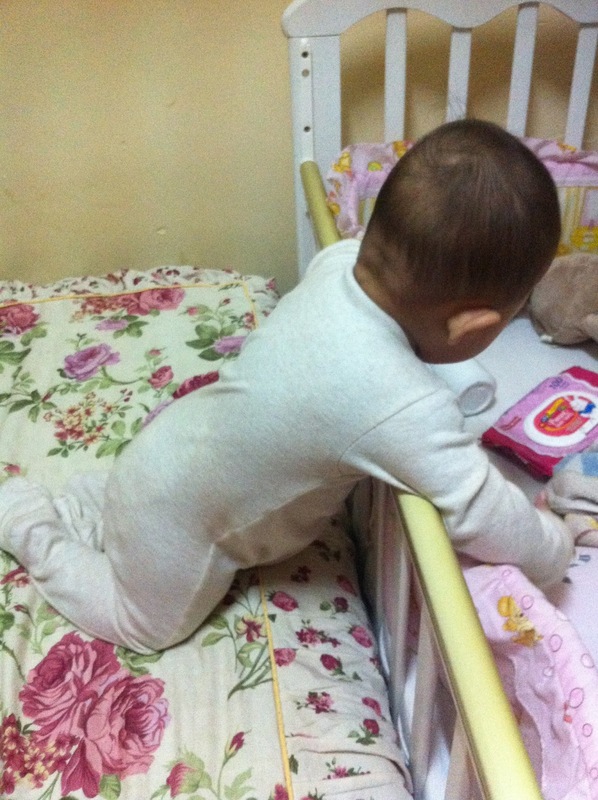 2) Crawl faster than before! It's a yeay but also nay when she starts pick up any stuffs on the floor - by stuff is anything except her toys. 3) Memanjat dengan jayanya. Now is a time to REALLY keep an eye on her cause she already fall herself when she's kneeling after trying to climb our boxes and sofas. 4) She responds to her name. We always tested this since she's 3 mo but she turns to us because of the sounds/voice which only proves that she could hear us not because she knows we are calling her name. 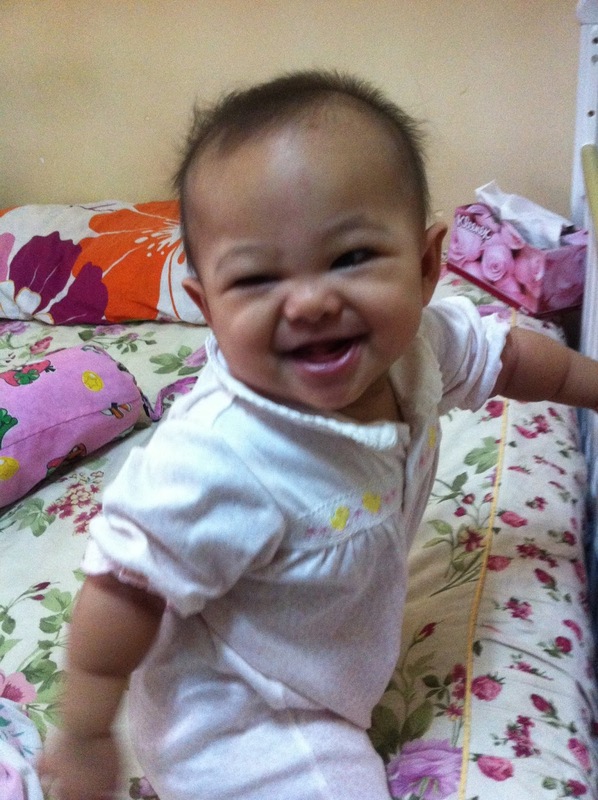 Now, she knows her name when we call her Rauhah and definitely ignored us when we call something else. 5) Drama when meeting strangers is still yet to be solve. A velcro baby she is *sigh. 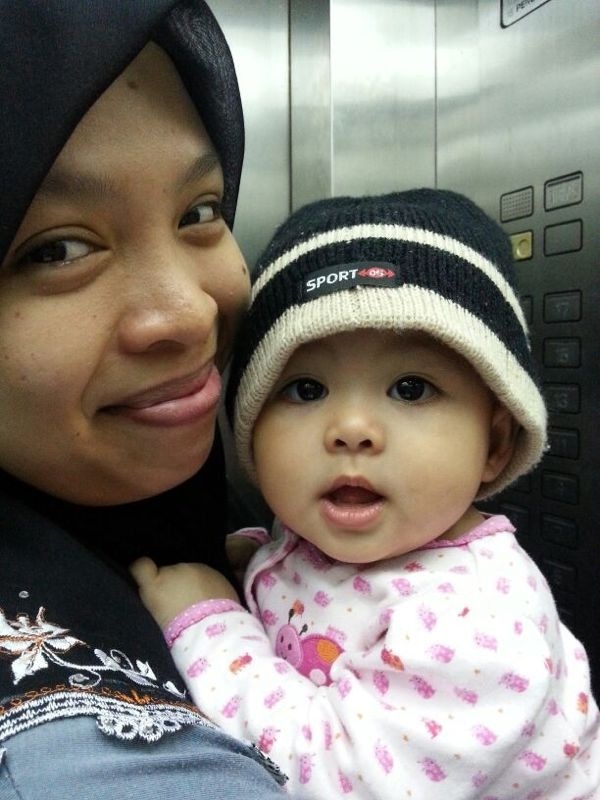 This happen again when I bring her to Magh's house and she cried hysterically when I went off prayer break. She just made everyone sweats for 5minutes. Her BBsitter also said the same thing when she take her to a hall for a talk. She was okay when they are heading to the hall but cried right away after entering to the crowd. I started to think what I have done wrong for her to act such way but found an article that this is due to developmental changes and the needs of the presence of their mother in order to feel complete.